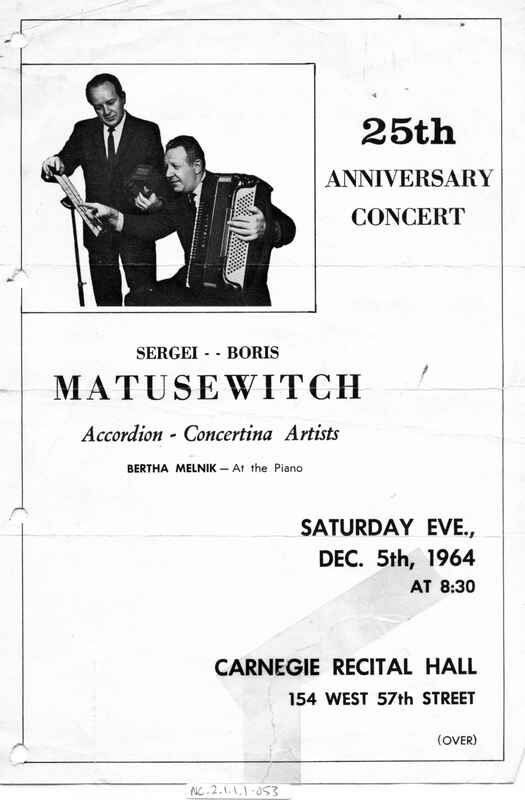 Full Description: The programme for the "25th Anniversary Concert by Sergei and Boris Matusewitch, Saturday eve, Dec 5th1964". 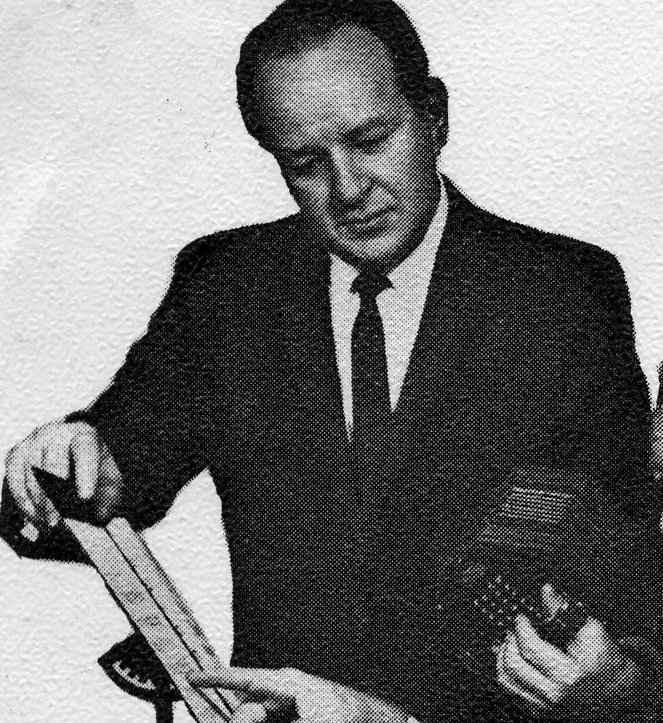 These American brothers were noted Accordion & concertina artists, and this Carnegie Concert Hall concert featured much of the classic concertina repertoire. Harry Minting visited the brothers in New York, and they sent him many of their arrangements (see these musical items in this section, NC.2.1.1.1 ) Boris imported many instruments from Wheatstone's. 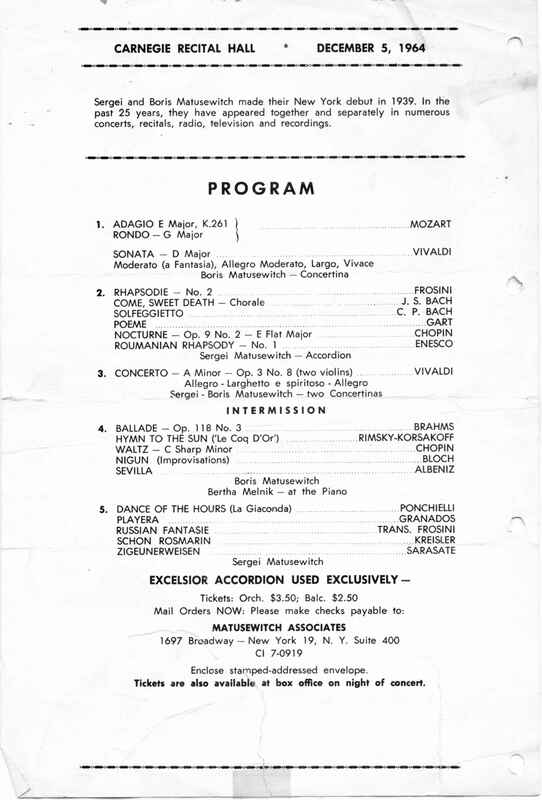 Neil Wayne interviewed Boris in 1968 at his New York studio.